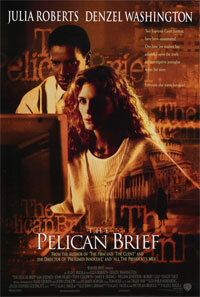 Two Supreme Court Justices have been murdered and a lone law student (Julia Roberts) turns her suspicions about the deaths into a speculative brief that sends shock waves into the highest levels of government. She and a determined investigative reporter (Denzel Washington) want to tell the world what they have uncovered; if they live to tell it. The race in on and these two are more than runners, they're moving targets.